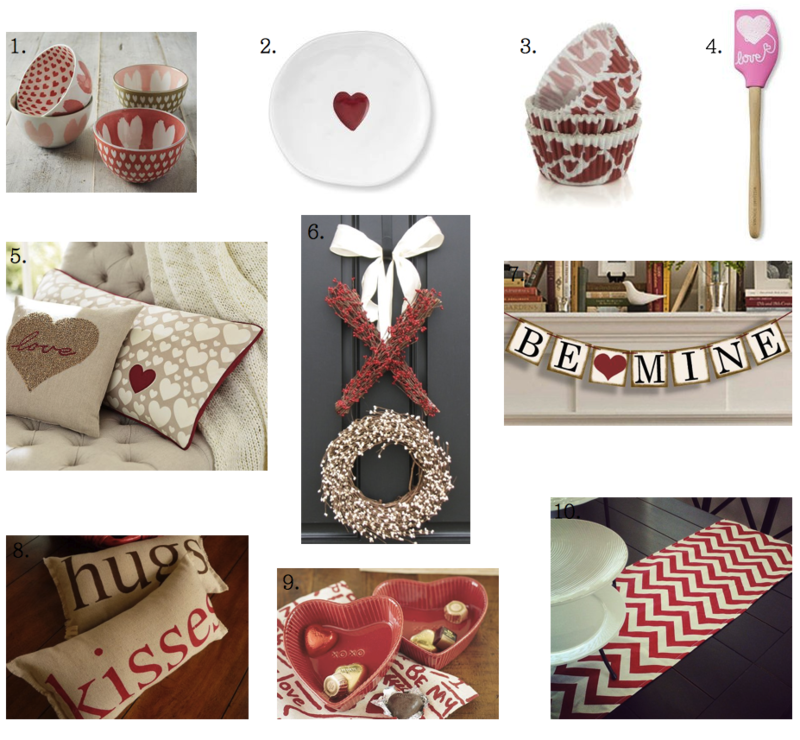 With Valentine’s Day creeping up on us, I’ve been searching for little additions that would add a touch of love to our home. I love the bowls and plates because they’d be adorable to use any day of the year. How cute to dress up your cupcakes or muffins with some heart wrappers? Granted, the wreath screams VALENTINE but how adorable is it?! And plus it looks fairly DIY if you were up for it. I also love the sweet and simple ‘be mine’ banner that would look so sweet over a mantle. Pillows are always an easy way to add some seasonal decoration as are the cute little candy dishes. A red and white table runner is perfect year round and I love the chevron pattern of the one below. Many of these items would make sweet little gifts as well…share the love!